The company behind the XRP token, Ripple has been making progress in the industry even amid the bear market that has plagued cryptocurrencies. Another technology by the company, xRapid, is now becoming a favorite for financial institutions across the globe. While many firms have been able to integrate xRapid easily, Cross, the remittance app of Coinone, has announced that it would be unable to use Ripple’s xRapid because of some regulatory issues. While the company made it clear that it would not be using xRapid at this time, it also stated that it is open to use this technology in the future when the cryptocurrency regulation in Korea changes. “Since they explicitly said that they will be able to use Ripple’s xCurrent, using xRapid with multi-hop without using the XRP token seems like a great alternative. Cross already has the required SCB connection making it possible because Thailand has legalized the XRP token for banking.” Many other members of the XRP community suggested possible ways to use xRapid that would not require breaking any regulations. Cross is yet to respond to these suggestions so it is not clear if the platform will take them into account. Yesterday, XRP gained more towards the resistance at $0.3850 and almost crossed the $0.4000 line against the USD. It was able to reach a weekly high of $0.3947. This was before the price started correcting downward back to $0.3900 and eventually $0.3800. The price of XRP was able to break below the 50% fib level of the $0.3142 fall to the $0.3947 rise. Right now, the price is at $0.383190. It is higher by 3.18% against the USD but lower by 3.92% against BTC. The trading volume over a 24 hour period is $1,099,039,895 and the market capitalization is $15,619,720,192. The relative strength index is flat around 50 and the MACD on the hourly chat is entering the bearish zone. 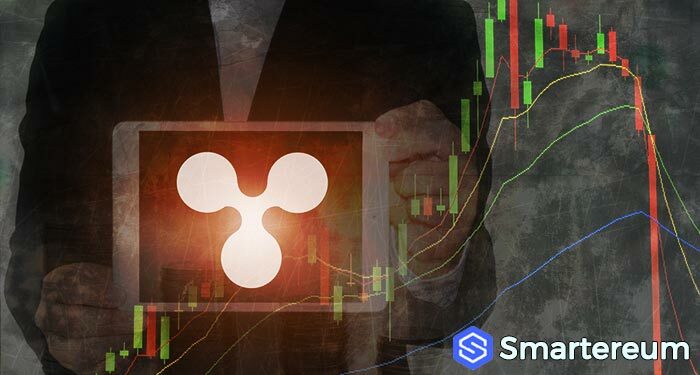 XRP has formed a significant resistance at $0.3800 and a significant support at $0.3400.